Each month we receive lots of visitors to our website who are searching for information about UK van tax legislation, so we thought it would be useful to put together a concise guide to UK van tax law. Will I pay tax on a company van? How much is commercial van tax? How can I reduce van tax owed? "A van is provided for work purposes to a director or an employee (This includes for use by a member of their family or household) where the employee earns £8,500 per year or more and that van is available for private non business related use." What's classed as a van? NOTE: You will not have to pay tax on Van's that weight over 3,500kg on any private use, unless the vehicle is wholly or mainly used for private travel. What's classed as business use? There are 3 types of journeys that are classed as non taxable business use. Business Journeys - journeys you have to make in the course of doing your job. Ordinary Commuting -Travel to and from your home to your place of work. Insignificant private use beyond ordinary commuting - making a slight detour to purchase a newspaper or drop children off at school on your way to work. What is classed as private use? Private use is when you use the van for anything other than business travel. Examples given on the HMRC website include an employee using a van to do their weekly shopping or using it while on holiday or to transport family or friends to a social event. An additional tax charge is owed if free or subsidised fuel is provided for the private use of the company van. The tax is normally collected through the employee’s Pay As You Earn (PAYE) tax code. * For tax years 10/11 to 14/15 inclusive, tax on vans with zero CO2 emissions have been reduce to zero. Fuel is provided for a van for which the restricted private use condition is not met. To calculate the amount of tax you would be required to pay depends on your current earnings, please see the breakdown below. Basic rate tax payable at 20% = £600 a year. Higher rate tax payable at 40% = £1200 per year. Basic rate tax payable at 20% = £110 a year. Higher rate tax payable at 40% = £220 per year. How can I reduce the amount of van tax I have to pay? 1. When a van is shared, the amount of tax owed should be determined by working out the percentage that each employee used the van. So based on two employees sharing a van; who are both on the basic rate of tax. The total van tax figure owed would be £600. If Employee A had used the van for 60% of the time and Employee B used it for the remaining 40% of the time. Then Employee A will pay £360 and Employee B will pay the remaining £240. D is the total number of days on which either the van is unavailable or after provided fuel is finally withdrawn. The amount chargeable is reduced pound for pound by the amount which the employee is required to pay, and actually pays, for private use of the van. This adjustment is made after any reduction because the van is shared. So using the example of Employee A if he had agreed to pay £100 towards fuel costs. Employers must be able to show HMRC that their employees have not been using the van for private use in order to reduce their tax bill to nil. If an employer considers there is no tax to pay, they will need to keep sufficient milage records to show that the employee has the van mainly for work journeys and that private use is restricted to journeys between work and home. 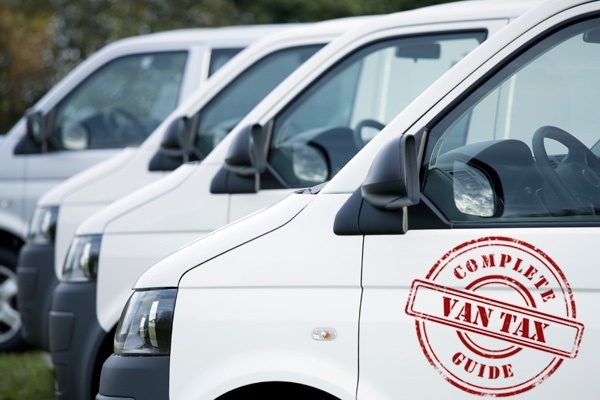 If there is tax to pay, the employer will have to provide records identifying each van used by an employee. If the employer also believes that the tax owed is less than the full amount. 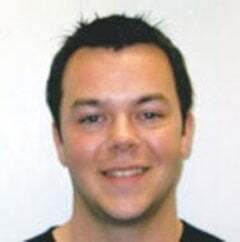 They will also need to provide documentation on who shared the van and in what proportion. If the van was unusable for a period of 30 days then proof of this would also be required. Any contributions paid by the employee towards the private use of the van. Proof that private fuel has been fully reimbursed. How to report on van usage the quick & easy way. As you can see in order to save yourself a large tax bill you will need to keep a detailed list of van usage, mileage reports and payments made which can quickly become a time consuming job when you have a large fleet of vehicles. So how can you prove that company vans are not being used for personal journeys quickly and efficiently? One option would be to fit Crystal Ball's GPS vehicle tracking units to your vehicles, with this you would be able to provide detailed journey reports for your vehicles in and out of working hours. And with our Driver ID solution, you'd also be able to identify each employee even if they did share a van or use multiple vans. GPS vehicle tracking units are fitted to the van and will start to transmit the location of the vehicle as soon as the ignition is switched on. This data is logged on our servers and can be printed off in a report format that you can present to the Tax Office in order to claim these reductions in your tax contributions. We hope this post has covered all the questions you may have with regards to Van Tax, however if you have any that have gone unanswered please do leave a comment below and we'll do our best to help answer them. Disclaimer: This post is for information purposes only, due to the ever changing nature of tax laws, the content in this blog could at some point contain outdated information. None of the content from this blog, including comments posted from our visitors, should be used as a substitute for advice from a professional tax advisor. We welcome your feedback, so should you spot an error please highlight this to us and we'll update the post accordingly.